The Home of the Horse Whisperer (the setting said to have provided the inspiration for Nicholas Evans’ novel) and the residence of once legendary Bull Rider, Lonnie Schwend, Montana’s Lonesome Spur is a truly authentic cattle ranch. Hailing from Scotland, Lonnie’s wife Elaine is also an accomplished Western rider and competitive barrel racer, the family sharing close ties with the local Crow Tribe. Book before 31 May and take advantage of Ranch Rider’s exclusive £400pp saving: seven nights from only £1,000pp (No Single Supplement). The offer is valid on departures from 19 May through to 29 June. Excludes return flight from £895pp. Gearing up for a fabulous shopping extravaganza at the one and only Badminton Horse Trials this May? There are some fantastic bargains, special offers & discounts available and we have picked these 3 as some of the best around! Discounts from Lotus Romeo, Hiform Equine, Someh & Haas Grooming equipment! Check it out! Covering 4,000 acres, South Dakota’s Crow Creek Working Ranch overlooks the scenic Black Hills and straddles two states, giving guests the opportunity to ride across the border into Wyoming. 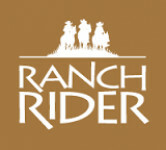 May activities include branding, cattle drives and fun games of team penning. Simply Equine is your first port of call for Equestrian DVD's and as an Equestrian Index user, you get a fantastic 10% discount on any order by using the code EQIND10 at the checkout! We have just added 6 great new DVD's to our extensive range of almost 200 titles covering every equestrian discipline. Many of these are essentially training sessions with some of the world's leading equestrian personalities. There is free UK postage on all orders & Free worldwide delivery on orders over £60. The Child Protection Company and The Equestrian Index have teamed up to make sure that as an equestrian business, you are aware of your Safeguarding responsibilities and have access to relevant, accredited training for you and your staff at a reduced rate - 10% off courses using the code WATSON at the checkout. Save £20 on expert cover for your horse or pony! 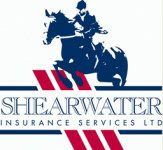 Shearwater Insurance Services are one of the UK’s leading providers of equine insurance. With over 100 years’ experience in their equestrian team, and as horse owners themselves, why not put your insurance in the hands of the experts at Shearwater? For £20 off new horse or pony insurance policies quote EQINDEX20 when requesting a quote. GHS Direct Equine Introductory Box! 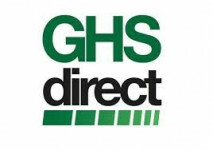 GHS Direct offer a range of quality DEFRA approved cleaning and disinfecting products for use on your yard. If you are new to their products or a seasoned GHS user, this offer is a fantastic way to stock up and sample the different cleansers, sprays and wipes on offer. All the items are designed for ease of use in the stable yard, tack and feed rooms and come in strong containers robust enough to withstand life on the yard! For all their special offers please call 01268 513200 Check out our other offers on this page regularly! Collect 20 rosette tokens on bags of Speedi-Beet or Fibre-Beet to receive a bag of either Speedi-Beet or Fibre-Beet absolutely free! To redeem the tokens visit British Horse Feeds website fill in the token form and then post it, along with the rosette tokens to the address provided. British Horse Feeds will then send a feed voucher that will be redeemable at your local retailer.